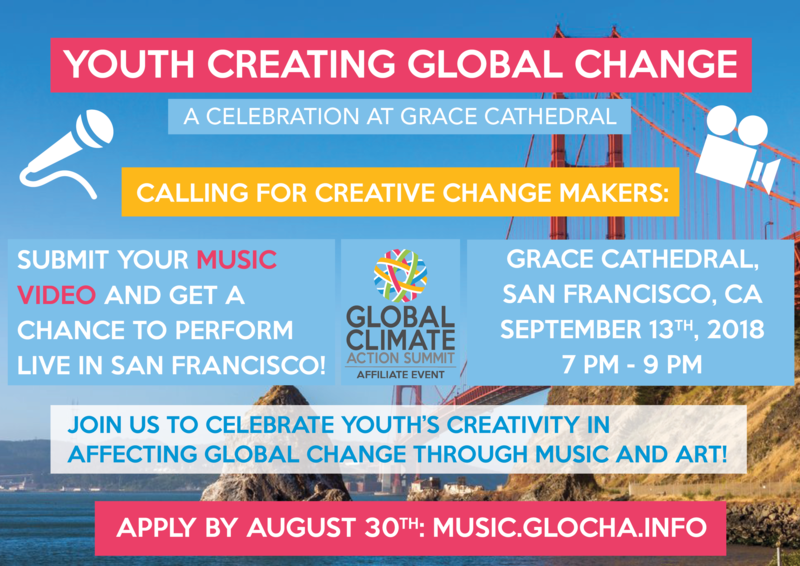 On September 13th, 2018, from 7pm to 9pm, GloCha will be hosting an affiliate event of GCAS at Grace Cathedral in San Francisco: „Youth Creating Global Change“. We are calling for young and creative change makers: Submit your music video addressing global challenges in order to perform live or have your video presented at Grace Cathedral. Join us to celebrate youth’s creativity in affecting global change through music, dance and visual arts! Apply by August 15th using this form.